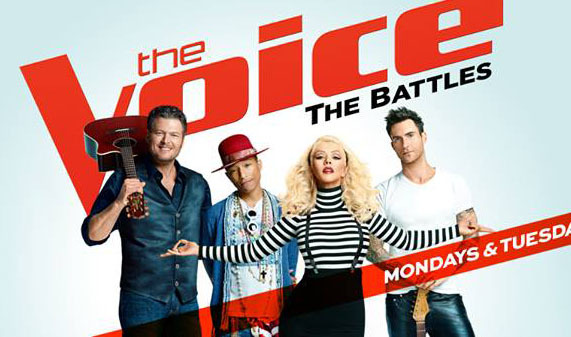 The Voice Season 8 returns with more Battles tonight, Monday, March 16, 2015! The Battle Rounds continue tonight and the coaches must decide on the spot of which artist to save, steal or send home! Guest mentors are Ellie Goulding for Team Adam, Lionel Richie for Team Pharrell, Nick Jonas for Team Christina and Meghan Trainor Team Blake. Keep locked on this page, recap, judges comments and performance videos will be added below once uploaded online!